Strength/weight training for runners, whether it be to improve speed, prevent injuries, increase endurance, or improve running efficiency/economy, has always been a topic for debate and discussion among endurance athletes. 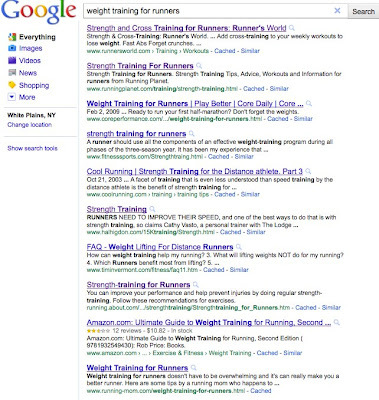 Simply search "weight training for runners" or "strength training for runners" in Google and it will return well over 1,000,000 links and videos. 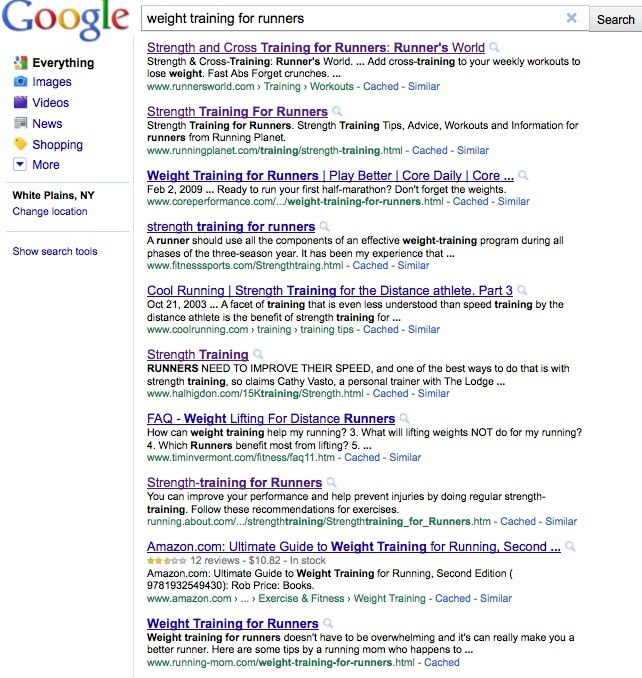 Articles discussing strength/weight training for runners have appeared in a host of running and fitness magazines and blogs over the years, including Runners World (which has an online strength and cross training section), Running Planet ("Strength Training for Distance Runners"), Active.com ("Strength Training Program for Runners"), Hal Higdon.com ("Six Spectacular Strength Exercises"), and iRunFar.com ("Improving Running Economy"). (12) Ab Ripper X (an extremely difficult, for me, core workout - "I hate it, but I love it!"). Oh, and your personal on-screen instructor, Tony Horton . . . I cannot help but crack up and smile at times as he imparts his own brand of humor into each workout (probably a product of his stint making a living as a stand-up comedian; see "The Power of P90X" published December 18, 2010 by Men's Health). There are plenty of other programs out there as well, and Beachbody.com has a ton of them. My wife has used Power 90 (also a Tony Horton led program) to supplement her running routine, and I have "borrowed" the abdominal portion of Power 90 from time to time. And, if P90X wasn't enough, there is a P90X2 on its way to release at some point in 2011. Personally, I like the convenience of popping these workouts into my DVD player without having to head to the gym, and I think that if I incorporate more of the P90X workouts into my running training schedule, it could help with my overall performance in ultramarathons. So, where are we going with this? Well, as it turns out the P90X 13 week program, if started this Monday, April 11, would end on Sunday, July 10 - the day before the start of the 2011 Badwater Ultramarathon. Badwater is my 2011 "A" race, and I'm going to pull out all the stops to be in the best possible shape at the starting line on July 11. Weekly training summaries will return next week and will certainly include strength/weight training. Good luck with the P90 program. I agree, popping a DVD into a DVD player without having to head to the gym is much more convenient. I'm using Jillian Michaels DVD's and love it. Happy training and I'll see you in July.